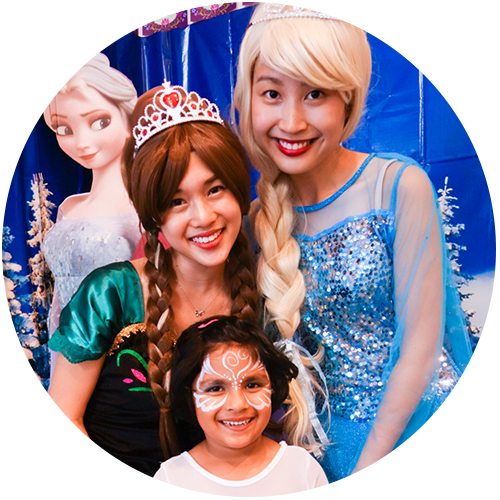 KIDS PARTY PLANNER SINGAPORE | PROFESSIONAL FACE PAINTING, BALLOON SCULPTING, DECORATIONS, MAGIC & MORE! 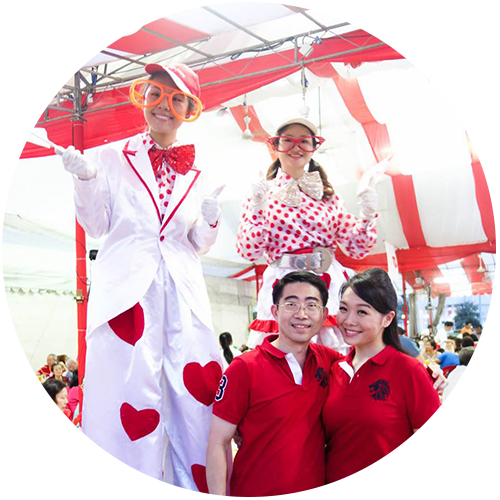 There much to be happy about & it just got better with our affordable party entertainment! Liven up your birthday & family events with our cheery face painters & balloon twisters. So send your wishes our way, we’ll paint & twist you surprise this weekend! Hello there! My name is Alicia, I paint and twist anything. I founded Happier Singapore on my mom’s birthday (3 April) because she’s my amazing pillar of happiness & creative energies! 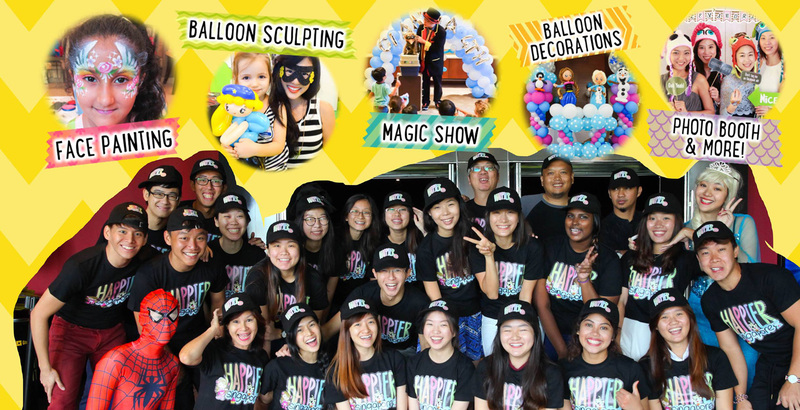 Together with a team of happy face painters & balloon twisters, we fly around the island spreading the love & granting wishes with our colorful face paint and balloons! Let your imagination run wild and instantly transform into your favourite super hero, cartoon character or fantasy animal! Just whisper your wishes to our creative face painters and your wish is our command! Who says balloons are all round and floating off a string? 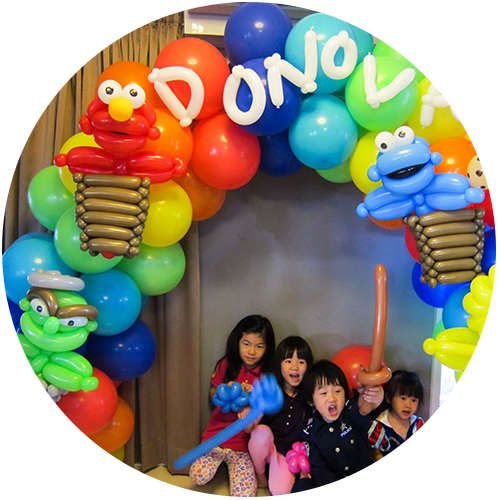 Let our balloon twisters make you a cuddly balloon animal or Disney-inspired balloon doll instead! We would love to help you spread the joy of face painting and balloon twisting too! Thinking of an interactive team building activity for your school or office? Or planning for a Bring-your-Kids-to-Office day or CSR program? 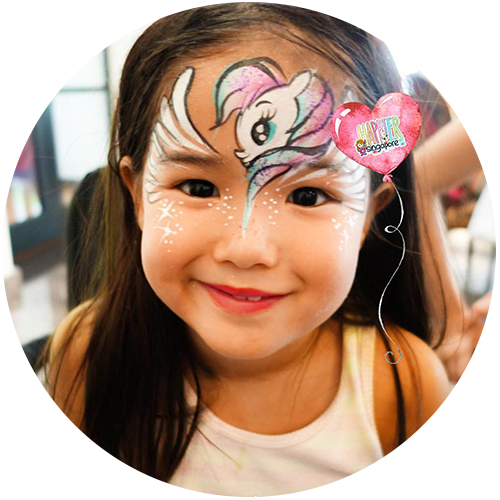 Talk to us for a free consultation on how we can weave a playful and interactive face painting or balloon sculpting workshop into your program! And of course, if you’d like to invite our happier artists down to paint and twist at your next party/event, send us your wishes at +65 9271 7106 or sales@happier.sg!